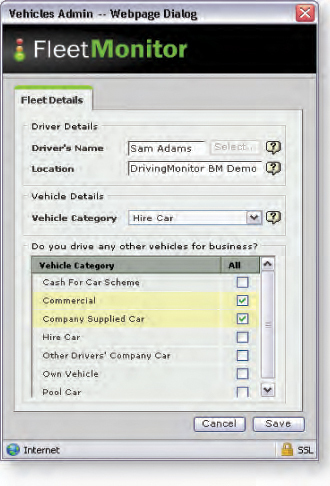 FleetMonitor is a web-based vehicle management system that allows you to keep control over the vehicles your employees are driving. 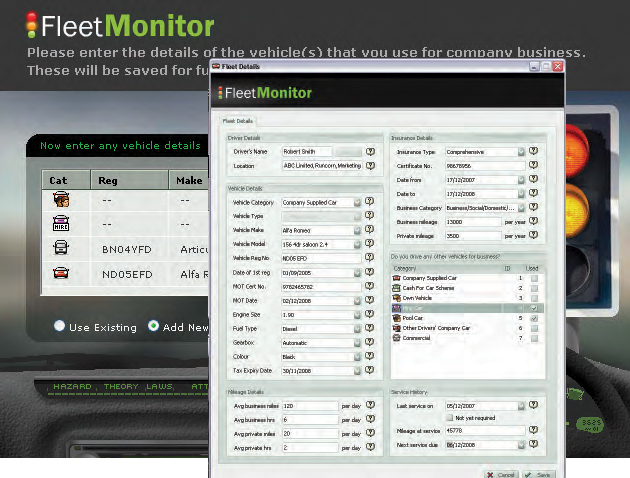 FleetMonitor can also work in tandem with TaskMonitor and alert you to priorities such as MOT dates, Tax expiry dates, driver mileage, service history and insurance details on each vehicle. FleetMonitor’s powerful reporting engine links with AccidentMonitor and LicenceMonitor, allowing you to spot trends in driver activity in a variety of vehicle types, and completely manage your grey fleet.